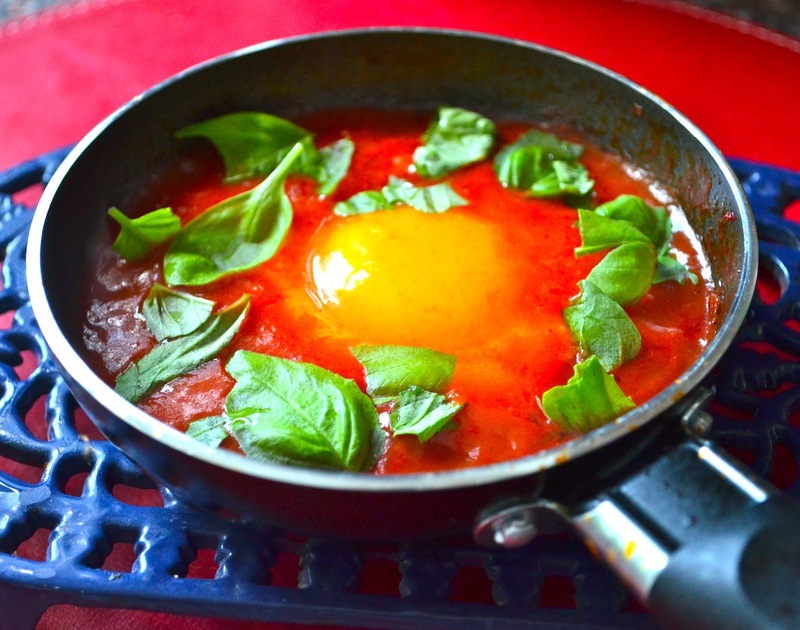 Uova in Purgatorio or Eggs in Purgatory is an old Italian peasant dish that is thought to have originated in Napoli. It is said that the white of the eggs represent souls that have been thrown down to purgatory and are being engulfed in the red tomato flames. Wooo spooky! It has also been suggested that the dish was created as a tribute to Dante and his famous work The Divine Comedy, however I think I like the first story best! I recently picked up a tiny frying pan, I call it my pixie pan, and it is absolutely perfect for making uovo in purgatorio (It's too small to make two eggs so it's ouvo and not uova! hehe). There are different variations of this recipe but I like to keep my really really simple, wafer thin slices of garlic, chilli flakes, passata or chopped tomatoes, an egg, torn basil leaves, salt and pepper. 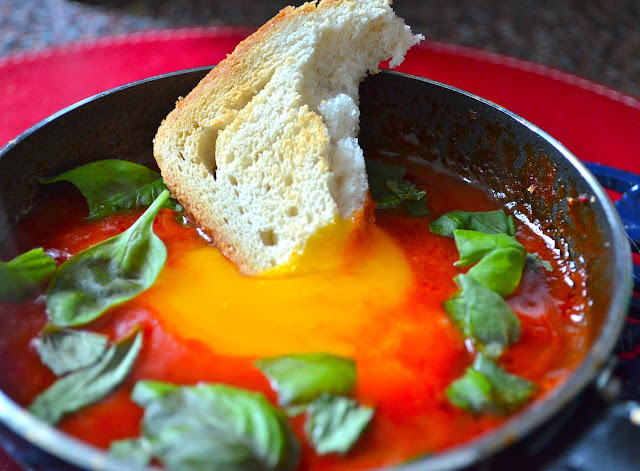 Let blip away on the hob until the egg is nicely set and then eat with fresh, homemade toasted bread…yum! 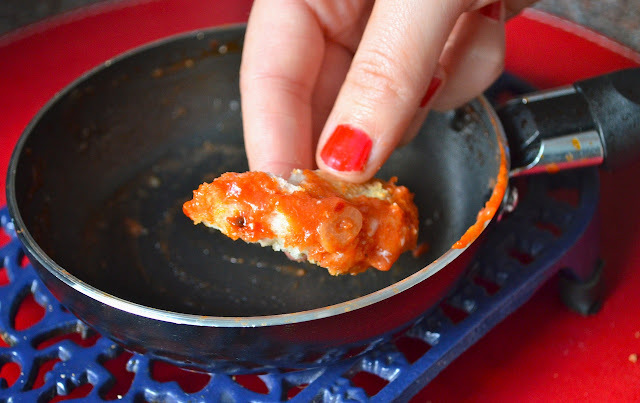 So much reward for such little effort and perfect for a lazy weekend breakfast or lunch.